How do you rearrange things to accommodate the new clarity and freedom that’s emerged over the past six months? Today Mars turns direct giving impetus to the urge to move forward. Since January we’ve been taken deep into the weeds of a twisted fear that presented us, for too long, with a crippling limitation. 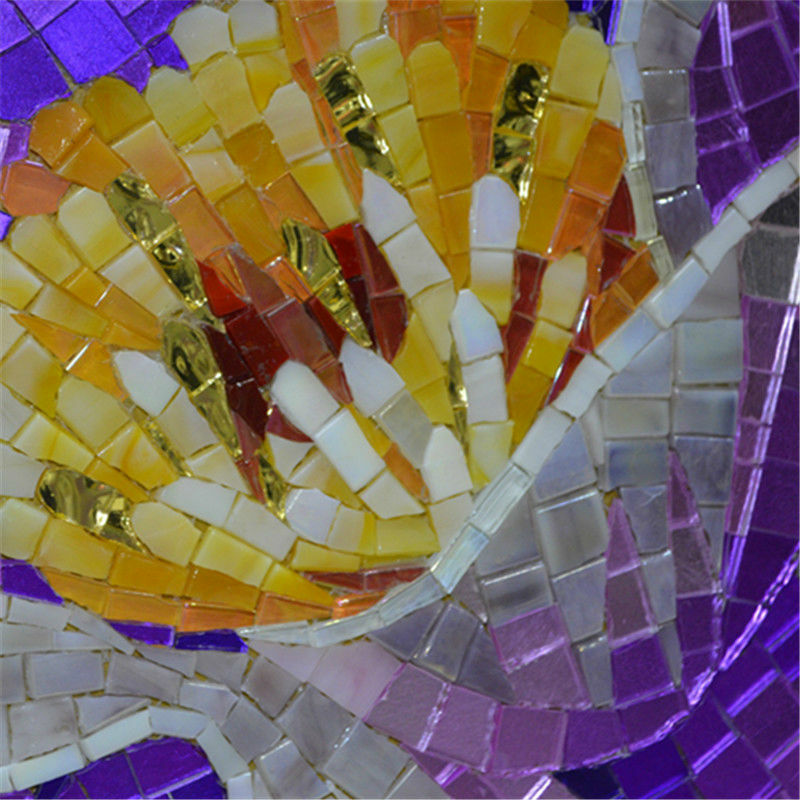 In the fall of 2012 we committed to something new that was joyful and a break from the past. Whatever it was we assumed it would free us to move into a new life. But we carried into that new life a emotional limitation that kept us confined. As it turned out, more than a lifestyle change (a new baby, new spouse, new job, empty nest) would be required to set us free. 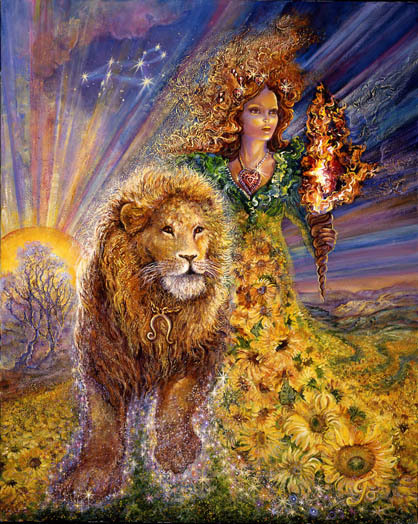 Since January Mars has stepped in, demanding focus, honesty and a willingness to let go of fear. Maybe you’re at the end of the “unraveling process” and what stood between you and the life you most desired has faded. Difficult personal experiences and critical new insights now allow for a more inclusive decision making process. Personal freedom and personal feelings have become the necessary ingredients that may not have been previously considered or even understood. 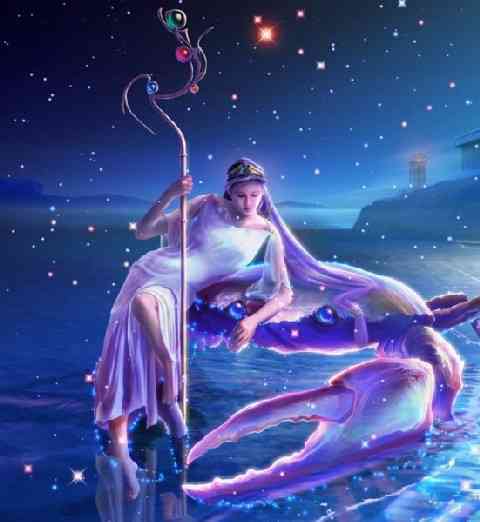 Just minutes before Mars turns direct on Wednesday, Mercury moves from the sign of Gemini – his most comfortable place – into the sign of security-oriented Cancer. The challenge may be to provide a “home” for the insights and ideas you’ve generated over the past few weeks. That may come in the form of a new, “strictly adhered to” financial plan. We’ve all invested lots of time and energy, blood, sweat, and tears, into building what we’ve built. 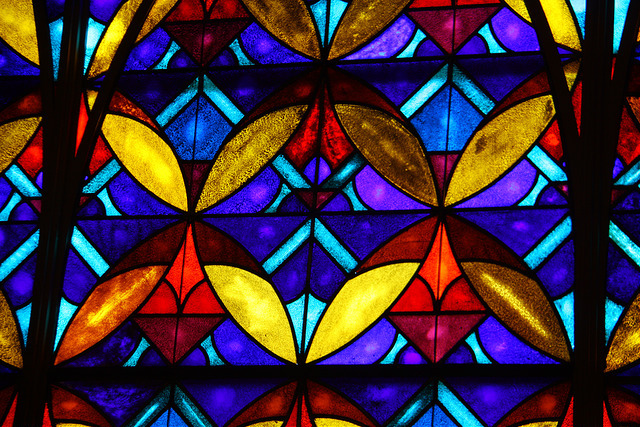 We involved others, set the rules of the game, may have promised “until death do us part.” In a manner of speaking something has died – or is quickly losing steam – creating a sacred space that calls for thoughtful adjustment and change. 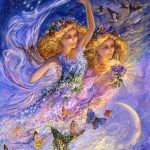 Quincunxes – sometimes called inconjuncts – are aspects between planets that indicate the need for major alterations in the life structures we’ve built – no matter how long they’ve been in place. There is the indication that they no longer reflect or support the person you’ve become. 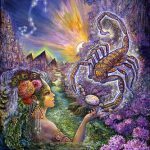 When a Scorpio Mars moves direct – especially in a degree that exactly quincunxes Eris (the uber-dark Goddess)and also Uranus within a degree – it’s time to ask yourself what must be rearranged, over-turned, undone, or recalibrated? What adjustments are you now willing and able to make as you take into consideration your new psychological – and maybe circumstantial – freedom? There is no right answer. Maybe it’s “I don’t know yet.” But whatever you’re telling yourself it must be honest. Eventually you will have to take full responsibility for the pivotal choices you’re making – or for kicking the can down the road. If you don’t have a definitive answer now, keep checking in. By the second week in August you’ll probably know. A new Moon in Cancer on July 4th is dominated by a Moon/Saturn quincunx. Again the emphasis is on adjusting and rearranging. 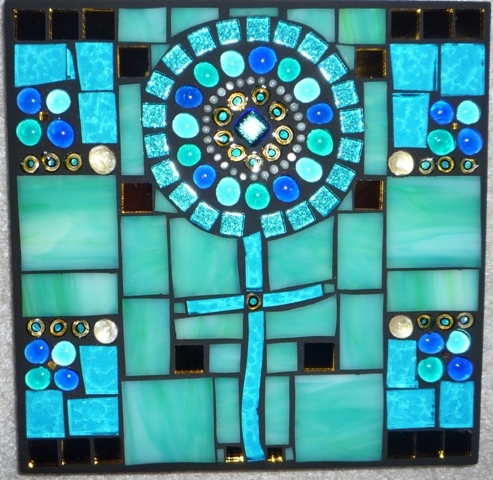 Cancer symbolizes the home, family, roots, and security. Saturn in Sagittarius (squaring Neptune in Pisces) gets real about the consequences of “wearing shoes that are too small for your feet.” When you outgrow previous arrangements there’s the choice to accommodate, to make yourself smaller, or to live with increasing pain. It’s time to update your definition of who you are. Most likely it’s changed since January. If all has gone well, there is less fear involved in being you. What will you do now that you’ve been set free? 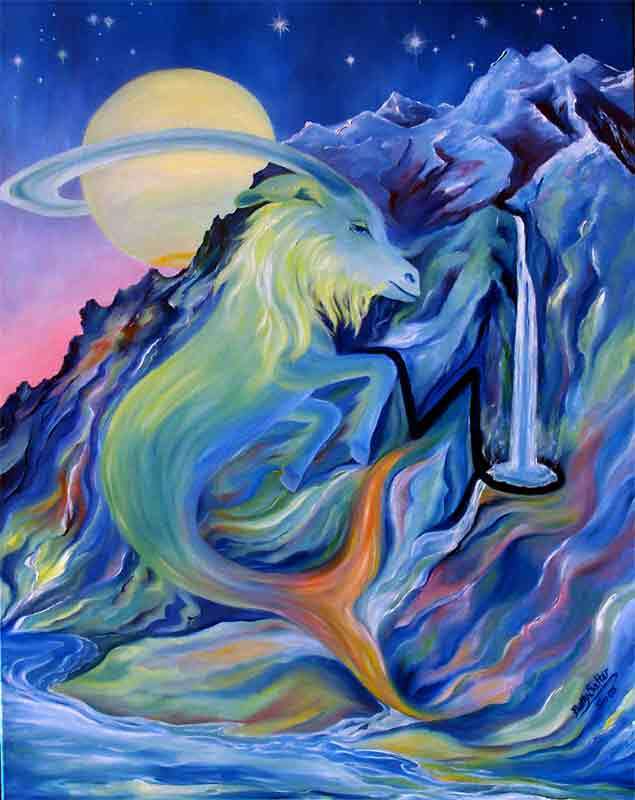 Since January Aries has been in the process of undoing old psychological conditioning about power and powerlessness. Limitations may involve a belief that you could be crushed by more powerful forces and that once were crushed you would never be able to recover. Aires may lack confidence in the process of rebirth – or at least confidence in their own ability to be extraordinarily resilient. 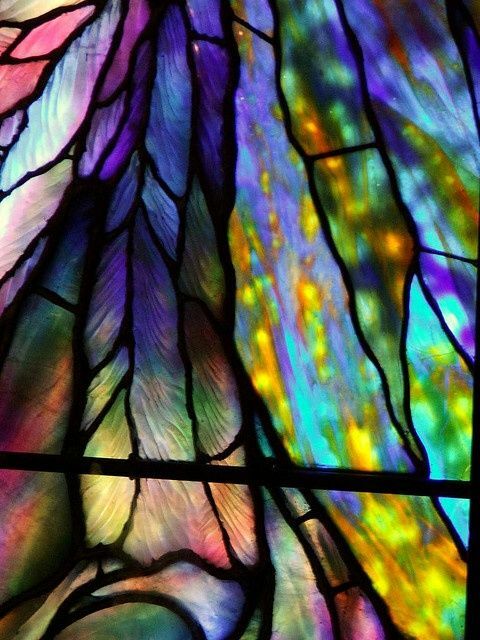 But something has changed or at least begun to significantly chip away at the structure of your old belief system. 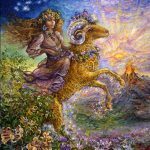 Aries is in the midst of a process of a rebirth and it can feel exhausting. You may have reached a new understanding about how effective you can be. You may have some ideas about how and in what direction you want to channel your wildly dynamic style and approach. It seems you have freed yourself from playing the role of your own worst enemy, and fighting the same battles over and over. It’s time to rest and regroup, to conserve your energy for more meaningful battles in the future. Rearrange your home, adjust your schedule, and make time and space for rest. Something profound may have changed within the realm of your most important relationships. 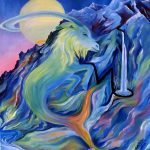 It began in January and is now manifesting in a form that may change your style and approach to life – and your style and approach to your relationships. A new understanding may have been reached. A new level of honesty may have manifested. You may now be free of some pressure to hide, to keep secrets, to feel privately victimized, or alone. No longer do you have to live a lie or pretend that everything is fine. The future looks different than the past though there is still some level of uncertainty. The new Moon in the third house urges a new type of communication that is highly sensitive, heartfelt, and loving, but at the same time relentlessly honest and controlled, particularly with respect to future possibilities. The end of an old commitment to old responsibilities is signified. The beginning of a new, more complex and meaningful commitment lies just over the horizon. Since January you have been involved in unraveling and taking a deeper look at your responsibilities, your health, and your approach to the work that you do. Stabilizing yourself may have involved a greater sensitivity and a more effective response to soothing and simplifying instinctive urges, intuitive messages, natural sensations, and vague feelings. Your ability to decipher and interpret this kind of sensitive information and to respond in a balanced way has improved to impressive levels. Your understanding has advanced as well. And your willingness to allow your body to take the lead has freed you to be more receptive to love in whatever limited or highly spiritual ways it is being expressed. This week it may take some self-discipline to keep yourself in a high-minded place. Partners, financial stability and power issues mix in a potentially toxic stew. Planting the seed of something new within the realm of financial cooperation seems wise. Since January Cancer has been in the process of transforming and enhancing their ability to love themselves. Deepening your understanding of what love is has been part of the process. Romantic involvements are transformative for Cancers – the vehicle by which you transform yourself from childishness to maturity. 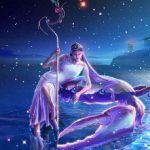 Love affairs for Cancer tend to be intensely loving, sometimes hate-filled, very complicated, highly sexual, and fraught with betrayal – mostly self betrayal. Cancers learn a lot about themselves through lovers and a lot about what they want and never want to experience again. It is likely that your understanding has grown. To the extent that anyone can ever understand what love is, you’ve made progress. Even if you don’t fully understand love you now know what it’s not and that frees you to move in a new direction. Success is more likely now. There is renewed satisfaction in going your own way and doing your own thing. Success has become less about pleasing others and more about pleasing yourself. Rearrange the old order. Updating your appearance to reflect free flowing self-love sounds like a good idea. 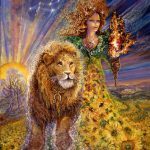 Since January Leo has been through an ordeal that has freed him to mobilize his future in a more interesting and personally harmonious direction. Unleashed and released has been some old, limiting programming about what MUST constitute the foundations of your success. Most likely luck, good fortune, and your ability to make life entertaining and fun for everyone was never a part of that equation you inherited. Also not part of that equation was the distinct advantage of an unapologetic expression of uniqueness, independence, and rare genius, impeccable timing, and the occasional flagrant demonstration of what is universally assumed to be an impossible feat. More likely there was an abundance of fear associated with what you learned was required for success. Fear of bankruptcy, hostile takeovers, fraud, deception, powerlessness, incompetence was all a part of what was handed to you in the form of “sage advice.” But it’s not and in your case it’s never been. You’ve proven that to yourself over and over again. Now that you’ve officially thrown out the rule book your free to actually enjoy the road your traveling. Rearrange and adjust to accommodate your freedom from fear. 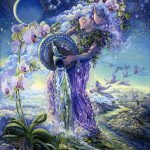 Since January Virgo may have been magically provided with specific information that changed their beliefs and perspectives. That information increased their understanding of the source of frustrating limitations that were hidden beneath layers of distraction, “evidence” to the contrary, and the need to be a reliable and effective problem solver within the realm of everyday life. 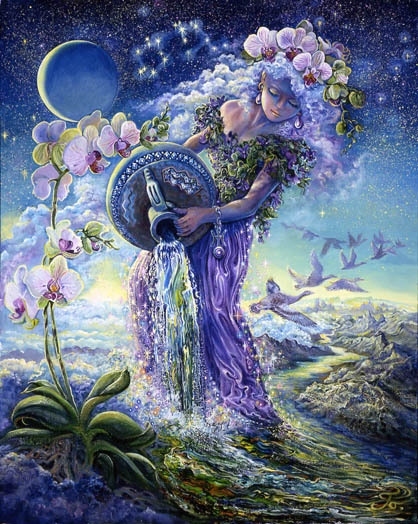 Virgo can loose their ability to be useful to themselves as they focus on being useful to others. But something magical and unlikely has pulled you out of that abyss giving you back the personal power that was slowly but progressively slipping away. Now you may have some leverage. Now you may feel as though something has been solidified and you’re standing on firmer ground. Now you can confidently heal and transform yourself into a thriving state of independence with the option to lead yourself in the direction you most desire. It’s time to make a home for your cherished dreams. That may take some courageous rearrangement and adjustment. Since January, if all has gone well, there is new found freedom within the realm of relationships. Financial decisions that extricate you from sources of limitation and frustration may have been made. What was once a lack of confidence in your ability to provide for yourself, a lack of worthiness, or pressure to support another (limitations that nourished dysfunctionalism in relationships) have been severed. 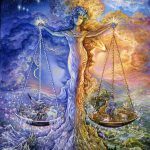 This is a major development for Libra who thrives on healthy, straight forward relationships – and withers when they become involuntary and complicated. In the planning stages may be a new way of earning a living that fosters independence. It may be a new financial plan that allows you keep more of what you earn. It may be an insistence that others pull their weight, or the natural end to a commitment that allows new doors to open. Time to adjust and rearrange your life to accommodate independence and freedom of choice – especially within the realm of relationships. 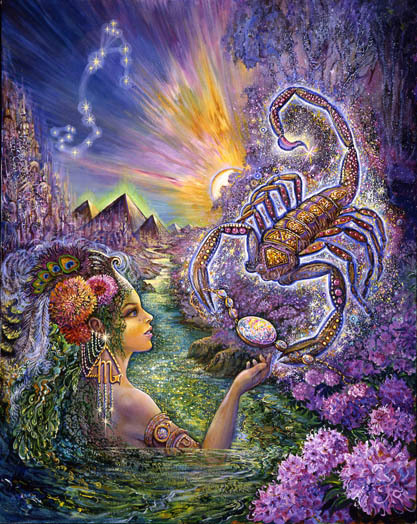 Scorpio’s old programming set them up to take on most of the responsibility in any relationship and to believe that whatever wasn’t perfect was within their power to fix. All they had to do was to figure out the most effective method or the best strategy and to present it persuasively. Since January something has freed them to accept the reality that many things are out of their control and that relationship outcomes are always the result of the nature and magnitude of combined contributions. 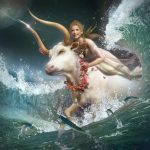 Going with the flow goes against the grain of any fixed sign (Aquarius, Leo, Taurus, & Scorpio) but often it IS the best strategy. Non-intervention is often the most effective option. Giving others the freedom to live their lives as they choose – in painful ways if they choose – may be the new freedom you’re capable of embracing. 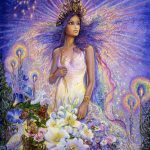 What new arrangements and adjustments do you need to make as it becomes clear that there is actually time and energy left over for something you can control – the elevating and inspiring transformational healing of yourself. This may start with a home away from home. 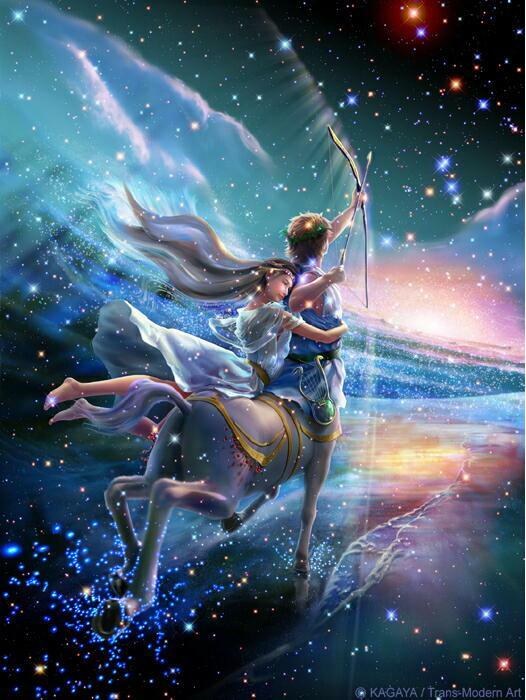 Sagittarians often lack faith in their ability to transform and heal through intangible means. In the face of health problems and work dissatisfaction they can feel powerless to change things they could actually change. In denial of the extent of their capabilities they need reassurance and something concrete and tangible to rely on. Sagittarians rely on experts, tests, and procedures to diagnose and fix what ails them, but they don’t really trust any of that. They’re continually thrown into a “no man’s land” of paralysis – afraid to uncover the truth and afraid not to. Since January the intensity of their dilemma, focused universal energy, and maybe regular physical exercise, has moved them into a confrontation with undeveloped potential. An experience with the intangible and ethereal may have produced tangible improvements that shocked them into new realizations. 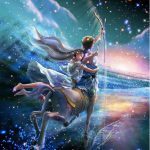 Sagittarians are now being freed to express themselves more courageously, to take some risks to realize their dreams, and to move into a more joyful way of being. Time to actively adjust, rearrange, and re-focus. The fear Aquarius confronted since January was most likely very difficult to uproot. Congratulations if you were able to access it, let alone defuse it. What you’ve been dealing with, most likely, is a tendency toward obsessive/compulsive thoughts, a chronically terrified mindset, the distinct and desperate feeling that you can not control the uncertainty that comes with being alive, and the inherited psychological programming that set you up to believe the distorted beliefs of your tormented mind. Since January you and uncertainty may have come to an understanding. You may have clarified the magnitude of your healing capability. Wider dissemination is part of the picture. Most important is the new freedom to sustain a serene and peaceful mindset. You’re free now to clearly define what would make your life a magnificent inspiration to those whose dreams veer “off course – and to pursue your own “off-course” dreams in defiance of safe formulas and rigid mindsets. 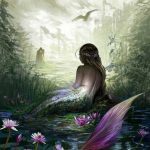 Fear for Pisces may have come in the form of beliefs about the future and what it would bring – aside from certain death at some point. 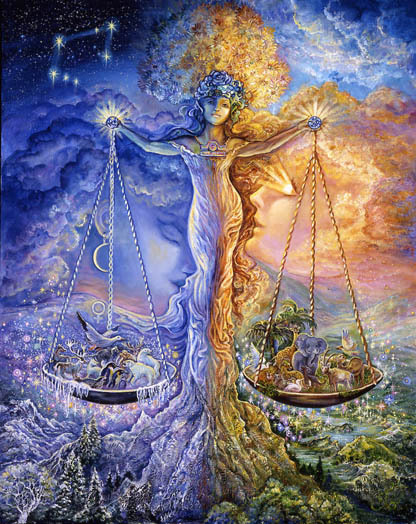 Visions of a loss of power, control, physical beauty, health, financial stability, dignity, and cherished dreams, distort and destroy Pisces relationship with the future. A buoyant sense of optimism and faith in the self is often replaced with cynicism. 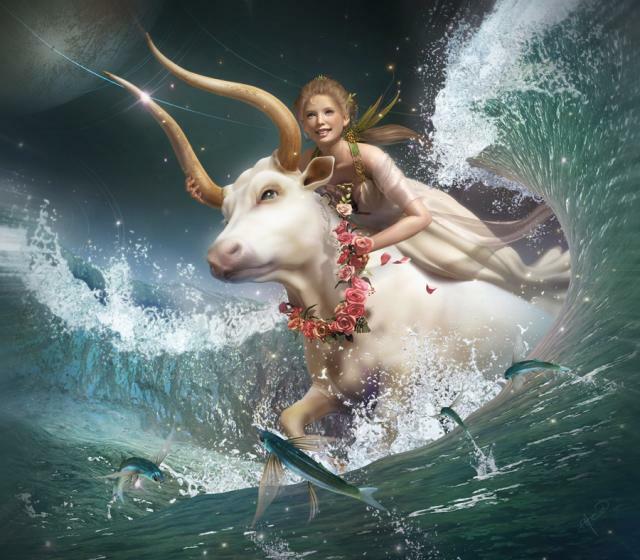 To avoid disappointment, Pisces tend to impose strict limits on future expectations, dreams, and exciting possibilities. 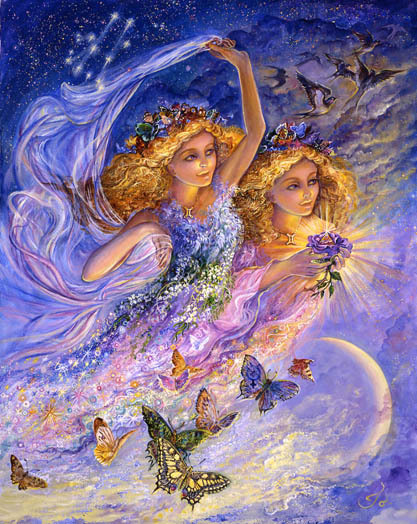 But if all has gone well, Pisces relationship with their future and with themselves may be changing. Maybe you’re starting to believe that you deserve a future that’s better than your past. Maybe you’re asking “why not” when someone encourages adventure. Maybe the wisdom of magical thinking has occurred to you. Maybe there is a new willingness to believe that despite your know-it-all tendencies the future may very pleasantly surprise you. Money tends to materialize if you nourish specific and exciting plans for it. Soon you may experience how faith in your future sets you free.